The Data Warehousing Institute (TDWI), US has just announces 2015 Best Practices Awards Winners of Enterprise Data Management Strategies to a bank in Vietnam. This is the first time a Vietnam representative has been honored in this meaningful category. According to TDWI, VPBank deserves this award thanks to its clear vision and roadmap for practical and effective implementation of data management, which plays an important role in business analysis, product development, operations to maximize customers’ benefits. TDWI has highly appreciated VPBank’s data management strategies on the basis of business impact, maturity, innovation, and relevance. 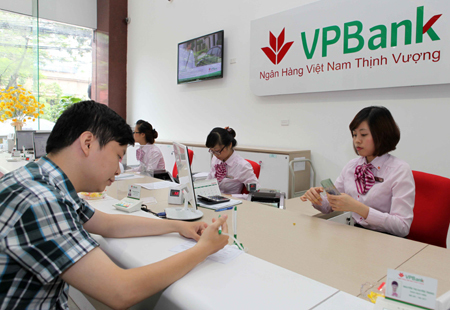 Especially, according to TDWI, VPBank has applied the experiences of developed countries to build an implementation roadmap by stages with accurate positioning, reasonable staffing, and effective measuring….in compliance with international standards. During 20 years of development, TDWI is one of the few prestigious institutions in the world that specialize in training and researching, developing new technologies related to data management. TDWI’s achievements have been rapidly applied to business development, information technology at international companies and organizations.